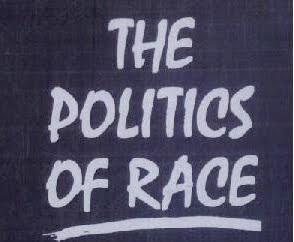 The Urban Politico: More Racial Politics: Is it Better to Look Like You or Work For You? 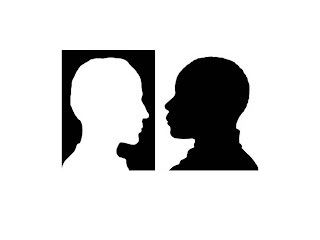 More Racial Politics: Is it Better to Look Like You or Work For You? California’s latest Supreme Court news has sparked a debate that some colleagues and I’ve been having for years. Governor Jerry Brown’s decision to nominate Goodwin Liu has become a controversial decision. Many feel that Brown passed over several Latino and African American candidates to nominate Liu, an Asian who by all accounts is a liberal and strong supporter of civil rights. So we find ourselves asking the question again. Which is more important: that you have a person that looks like you in a position of importance or you have a person who will work for you in a position of importance? Now clearly I understand that these two things are not mutually exclusive. I believe we would all agree that having someone with a similar racial and/or ethnic background who also has a point of view that runs parallel with the majority of folks within that same background would be preferable. However, I fear those days may be behind us. I hate to be cynical – no, I don’t – but am I the only one who believes that someone like Thurgood Marshall, an “Anomaly,” a champion of civil and individual rights, State accountability, and Federal oversight, would not get the support of a Senate comprised of Tea Partiers? We can never see past the choices we don’t understand. Since this Neo-esque “Anomaly” only comes around when it is time for the Source to reload the Matrix, we are left with a choice: which is more important, the person or the work they do? A case can be made for either side. Since Obama’s inauguration, I’ve had to challenge myself and my positions on this issues. I like to think of it as growth, maybe it’s bias; hell, maybe it’s both. What I do know is that I often find myself conflicted. On one hand, diversity adds value to all aspects of life. It is very possible for a white male to grow up with very limited access to other races and cultures, informing his political opinions and positions. And while he may bring value to a discussion, I do believe there is legitimate concern if everyone involved within his decision making circle all come from that exact same background. So while I understand the political fallout from Justices Sotomayor’s “Wise Latina” comments, I disagree with her detractors. I do expect a Latina to bring a perspective her colleagues may not have; I expect the same from a White Male. Clearly, there’s value in having diversity introspectively; there is also value in the extrospective. Seeing people that look like you in various places of success and authority is a vital piece of any culture. Not only does it support one’s need to be accepted and respected, it also makes the impossible seem possible; this is especially true for those who aspire to reach heights previously not open or available to them. Prior to President Obama’s inauguration, the vast majority of African Americans never imagined that anyone other than a White Male would be president in their lifetime. It was literally an image that we could not view because it was one we had never seen. All that to say, I believe the Hispanic and African American citizens in California have a point, I do believe you need to see a face that looks like yours in power positions. However, does this accurately illustrate the willingness of our leaders to work on the behalf of the Black community? I’m not convinced it does. As we’ve seen with the nomination of Clarence Thomas, simply putting a black face on the bench doesn’t mean you are reaching out to the black community. Prior to joining the blog, several of us debated – ad nauseam – several political issues. Who did more for the African American community, Clinton or Bush? Arguments were made for both sides of the aisle: Clinton’s Administration saw the first female U.S. Secretary of State and the highest-ranking woman in the history of the U.S. government, Clinton, at the time, had the most diverse cabinet in history, and more African Americans appointed to the federal bench than any other President. Conversely, Bush’s Administration (II) topped Clinton in high-ranking diversity of cabinet. Bush was ground breaking in his appointments of the first African American Secretary of state, serving not only as the highest-ranking African American but also the highest-ranking African American female in the history of the U.S. government. He nominated the first Hispanic Attorney General in addition to filling three of the four highest-ranking positions with minorities. However, when asked, the Black community supports Clinton over Bush in a landslide. I think the Black community must be very careful with their requests. Sometimes you actually get what you are demanding; and it ain’t always good. The Janitor and I were conversing with friends of ours on a similar topic. If, for example, Alan Keys was elected the first Black president, shouldn’t we cheer for that breakthrough equally as loud as we did for Obama? Despite Keys’ clear Grand Canyon type gap in political points of view from the large majority of Black folks, shouldn’t we celebrate the accomplishment of an African American kicking through the glass ceiling? Not to my surprise, many of my friends said “No.” With the Key's example, the ascension of the first Black Man to the position of President of the United States would not trump the fact that his political views were completely opposite of 90% of the Black community. So why then do we turn around and put that type of pressure on our government executives? We’re okay with equating who our Presidents and Governors select for a given position with their support of the Black community. Doesn’t that seem a tad bit hypocritical? This is simple political arithmetic. President Bush (the First) put a Black man on the SCOTUS. President Obama put the first Hispanic female on the SCOTUS; yet he is criticized for not “looking out” for the black community. Question! Whose nominee would you say has the best interest of the Black community (and other non-white citizens) at heart? My blog partner, The Janitor, said: “…the most important aspect of any judge you can nominate is not the color of their skin but rather it is the judicial ideology that they subscribe to. A progressive Latino, White, or Asian can do just as much to champion the progressive agenda in the courts as a Black judge.” I believe this to be true. It makes sense. Should we start to focus more on the policies of the individual instead of their racial makeup? What is the break-even point? Is it acceptable to have zero representation if your needs are being met? After all, many landmark civil right issues were passed without Blacks, Asians, Hispanics, and others in the White House, Congress, or SCOTUS. While it is important to have diversity, diversity of thought, and a makeup in leadership that reflects the makeup of the country, it is also important that those who make up the leadership actually work on issues that are important to the Black community - YOUR community. In today's America, can this be accomplished without people who look like you speaking for you? I don't know. If you can’t get both, which is more important: someone that shares a racial and/or ethnic background with you, or someone who will fight to improve your quality of life? Should we criticize a government chief executive (president or governor) on their political nominations based solely on race?